ShoutBox is a block that is placed in the right bottom corner of the user’s site pages. 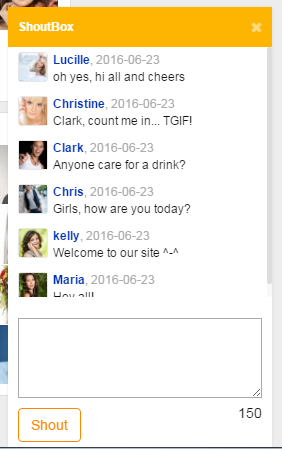 Site members can interact with each other by posting short messages and reviewing messages posted by others. It also helps attract more attention to their profiles. New messages come on top of the block, with older messages going down. Indicators show when there are new unread messages, and user can quickly return to top by clicking an arrow icon. The module settings are located in the admin panel > Modules > ShoutBox > Settings (/admin/shoutbox/settings/). 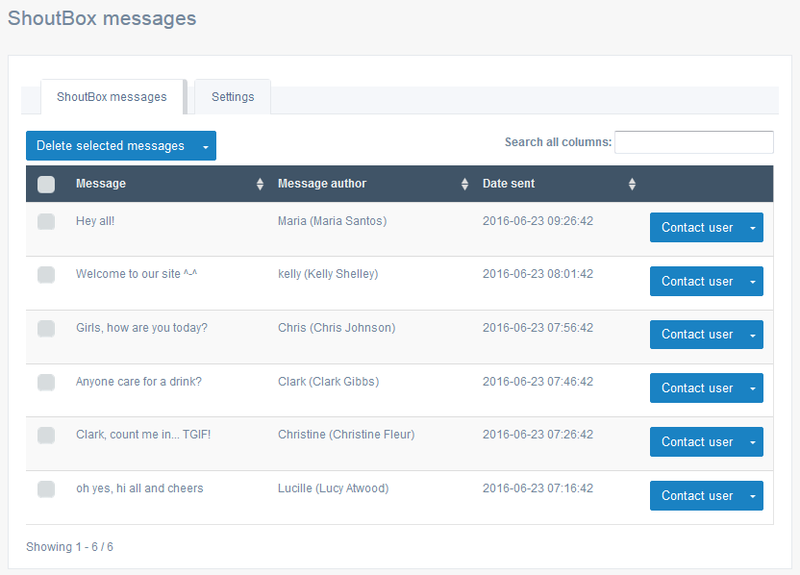 You can limit the amount of symbols per post, total amount of messages to keep on the site, as well as review and moderate what is being posted by the site members.